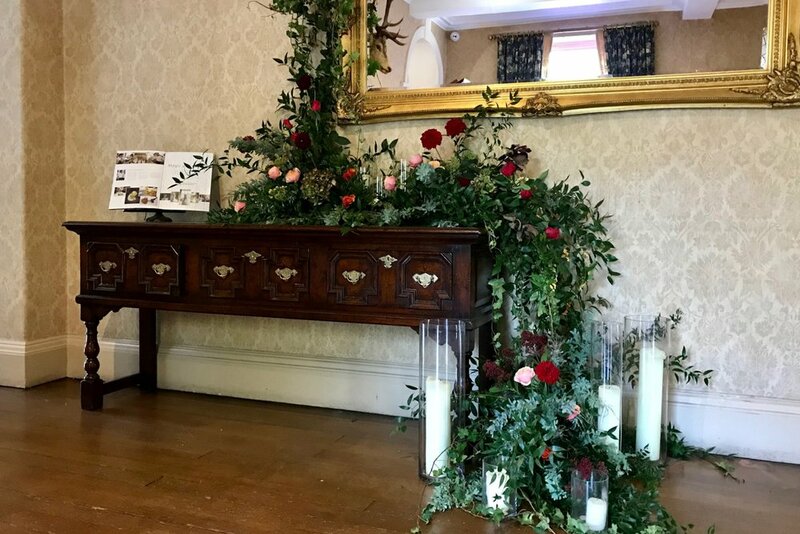 On the last weekend of October 2018 we were invited along to celebrate the official Launch Night at Holbrook Manor & Spa, as well as taking a look around their newly refurbished rooms and all the venue has to offer. Having never previously visited the venue, we went along with an open mind - however I’m pleased to say this venue exceeded all expectations! Holbrook Manor is a stunning, exclusive use venue set within 20 acres of idyllic woodland, located in Wincanton, Somerset. The impressive exterior of this Georgian country house on arrival isn’t let down upon stepping inside either - the elegantly decorated foyer and lounge with a real fireplace, comfy seating and majestic grand piano, exudes luxury whilst retaining its traditional style. It is clear that extensive investment has been made into renovating the rooms inside, and will be a continued project over the coming months. The newly-refurbished Garden Room is a light, airy space featuring gorgeous wood panelling and direct access to the gardens, and it’s neutral colour palette lends itself well to virtually any colour scheme. 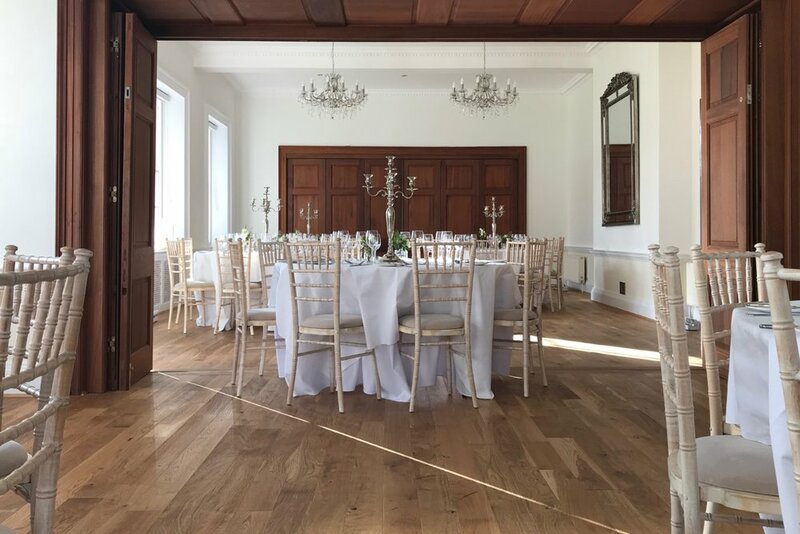 The room is fully licensed for weddings, making it the perfect space for your wedding ceremony, and can be turned around later for a reception space for up to 150 guests. For couples preferring an outdoor ceremony, the licensed Summer House in the grounds is the perfect space for making your vows, with ample space on the surrounding lawns for guests to be seated. For larger wedding parties, it is possible to have a marquee set up on the tennis lawn instead, conveniently situated close to the main house yet providing space for up to 250 guests. Adjacent to the Garden Room, the Morning Room has also undergone carefully considered refurbishment, combining traditional style with a modern edge. 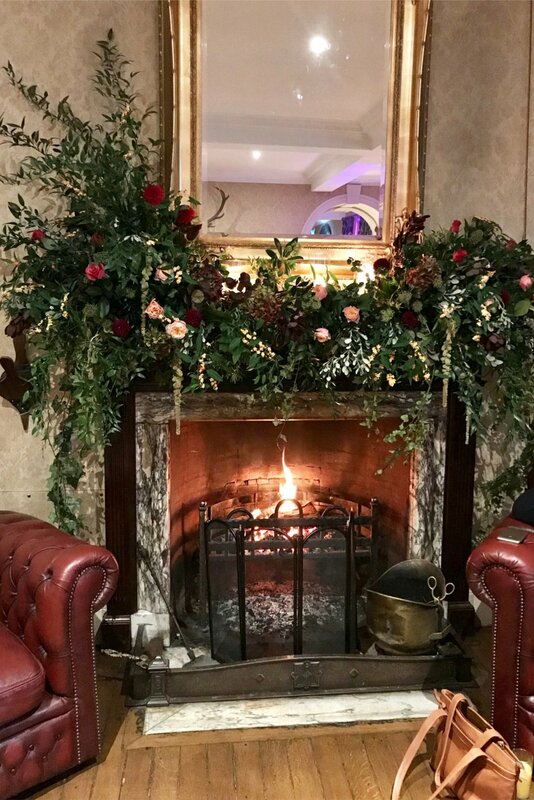 This cosy room with large open fireplace is the perfect space to mingle with guests during turnaround of the main room for the reception, however the room is also licensed for wedding ceremonies, so can equally be used for more intimate ceremonies seating up to 60 guests. 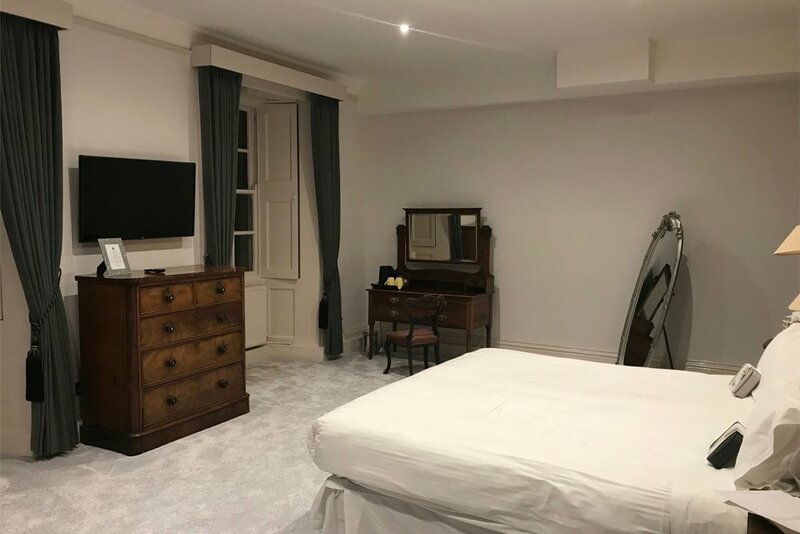 We were treated to an overnight stay in the Bincome Beeches room, located on the first floor of the main building, and one of 21 spacious guest bedrooms available across the venue. 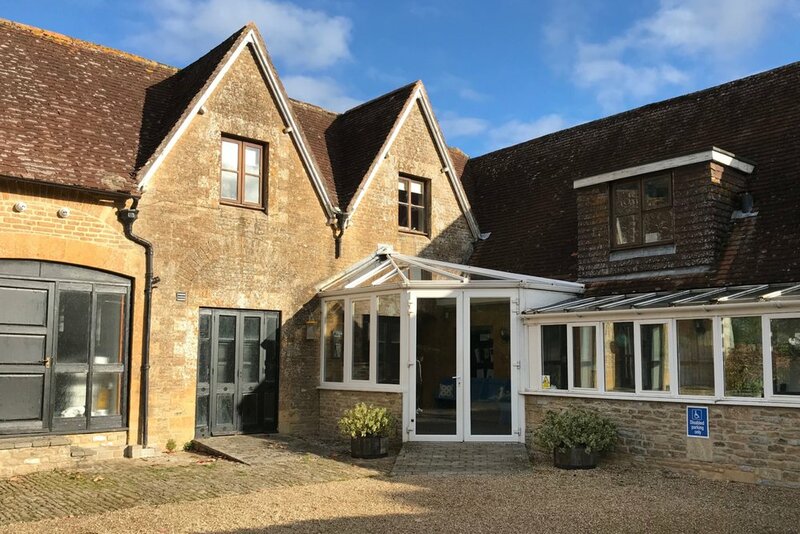 Again this has also undergone recent refurbishment, combining traditional country house charm with modern facilities, and an expansive, boutique-style en suite bathroom. The complimentary snacks and his & hers spa gift sets left for us in the bedroom were an especially nice (and appreciated) touch! The venue also boasts it’s very own Health Club on site, with a heated pool, jacuzzi, sauna and steam room, as well as an extensive gym and fitness suite. If that wasn’t enough, there is also a dedicated beauty area offering an array of beauty treatments, including pamper sessions and Bridal makeup - the perfect retreat for relaxing on the wedding morning! Click here to discover the full range of facilities available and treatment list pricing. Catering is provided in-house, and if the full English breakfast we were treated to on the Sunday morning is anything to go by, I can guarantee you won’t be disappointed! The talented in-house chefs can create the perfect Wedding Breakfast menu, with some of the culinary delights including slow cooked lamb with fondant potatoes, seared fillet of cod with chorizo and bean cassoulet, apricot and sage-stuffed porchetta, and beetroot and goat’s cheese risotto. Drinks packages can be tailored, and there is an extensive bar available set just off of the main foyer to keep guests topped up - open until midnight with an optional late licence extension by prior arrangement. Into the evening there is ample space in the Garden Room for entertainment, whether choosing a DJ or band, and a dance floor. Fireworks are not permitted on the grounds, however the venue does permit the use of sparklers outside on the terrace - perfect for that impressive send off and photo opportunities! Overall verdict? If you are looking for an exclusive use wedding venue in the countryside, Holbrook Manor delivers… and so much more. The main building is simply stunning, the views are exceptional (and not to mention that incredible spa!) but what really stood out for me was the staff’s friendly approach and willingness to go the extra mile - literally nothing was too much trouble. The team at Holbrook Manor have clearly been making great strides in the refurbishment over recent months, and when the last finishing touches are complete this will be a truly standout venue to compete with. At the pace the team are working, I’d highly recommend getting your enquiries in quick!